When Will I Get Good at Salsa Dancing? It’s a question many budding salsa dancers ask: “When will I get good?” Unfortunately, the answer to that question isn’t something simple like “Six months” or “A year.” Instead, the answer is, “It depends.” A number of factors play into your improvement as a salsa dancer. For beginners, we always recommend that they start by going through our Beginner’s Series of DVDs, which includes six DVDs and a CD that will help you get started on the right foot. Are there other dances that you know? Do you have previous experience with partner dancing? Are you athletic now or were you as a child? How frequently do you go to partner-dancing venues or events? How much time/money are you willing to invest in lessons, classes, etc.? Do you have an instructional dance DVD collection? How badly do you want to master dancing? 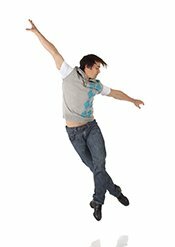 If you have experience in any type of solo dance, like ballet or tap, that will help you in understanding rhythm. But with partner dancing, that knowledge can hurt because you may fall yourself falling into old habits where you don’t have to worry about your partner’s balance or control. It may be difficult for women to submit to their partner’s lead. Leaders, on the other hand, can get frustrated and impatient with learning the basics. If you know another partner dance, that will help with the learning curve. It’s also best to learn just one dance at a time. If you’re focused on several dances at once, it will take longer to develop your salsa skills. It can also be quite expensive to take multiple dance classes at once. If you have physical limitations, your progress may not be as fast. 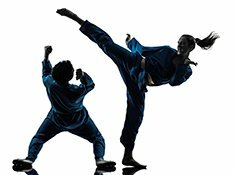 Private lessons will be more helpful than group lessons. With private lessons, you’ll get one-on-one attention from the instructor, who can tailor lessons to best fit your needs. In group lessons, the group may progress faster than you’re able to and you won’t receive as much personalized attention from the instructor. Videos can also be quite helpful with the learning process. How Often Do You Go to Partner-Dancing Venues or Events? 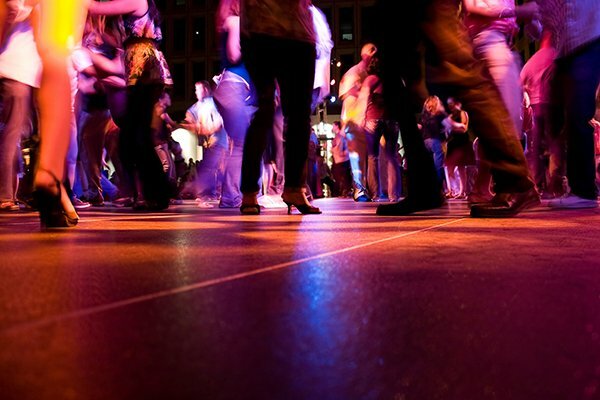 It’s absolutely necessary that you go to clubs or events in order to help you develop your salsa skills. The act of watching other dancers can be very useful as you perfect your own techniques. How Much Time/Money Are You Willing to Invest in Classes, Lessons, Etc.? Taking dance classes, attending workshops, and buying/watching instructional DVDs will cost both money and time. Learning to dance is an investment. If you want to become excellent at salsa dancing, you need to be willing to make a substantial investment in it. The good news, though, is that that investment is well worth it as salsa dancing is a skill you’ll have forever! Experienced and talented dancers have huge collections of dance DVDs. Instructional dance DVDs are the next best thing to real private lessons with an instructor or coach. They’re also incredibly helpful with the learning process. We have a complete line of instructional DVDs, covering beginner to advanced topics, that can help you refine your skills. Where is dance on your list of priorities? How often do you think about dancing? All day long or just on weekend? At night, do you dream about dancing? Do you find yourself daydreaming about being amazing on the dance floor? Do you practice your steps when no one’s looking (and maybe even if they are)? Are you addicted to it yet? The answer to this is going to be different for everyone. You may be motivated to meet new people, pick up a new skill, get some exercise, or any other number of reasons. Whatever it is, focus on it and let it drive you to be successful. Above All, Don’t Give Up! Becoming a good salsa dancer takes time and dedication. But if you really want it and you push yourself to get it, you’ll find that nothing will get in the way of you becoming a stunning sight to see on the dance floor. If you’re in the Denver area, come join us at one of our salsa classes or parties – we’d love to see you!